With the London Underground strike in full swing, we wanted to keep an eye on the state of the lines around the office at Cloud 66! So we wrote a simple widget for the awesome Shopify Dashing. 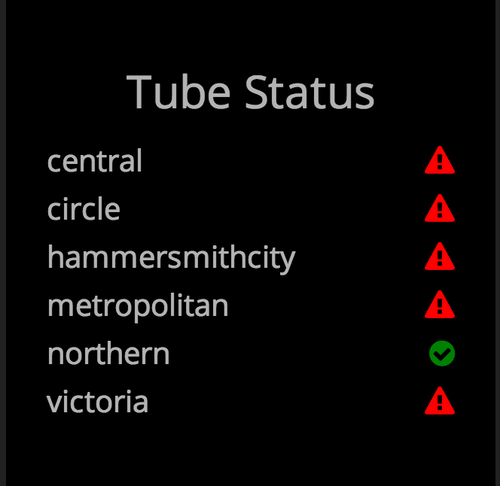 If you are in London and want to have a realtime dashboard of London Underground Lines, why not use the London Underground Tube Line Status Widget with your Dashing dashboard.